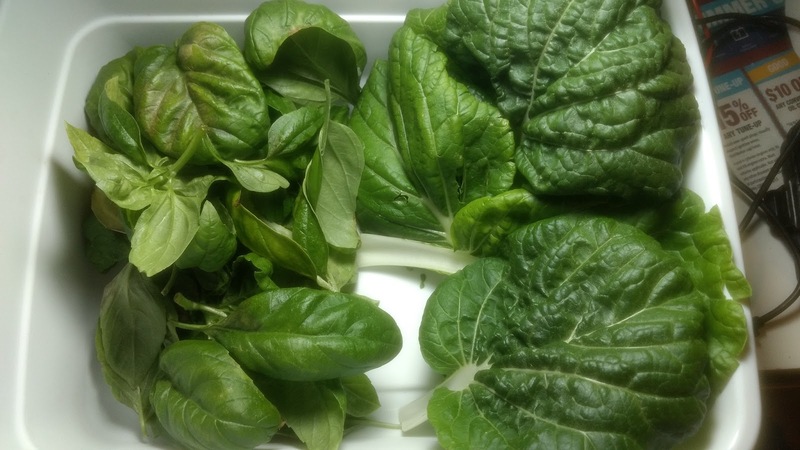 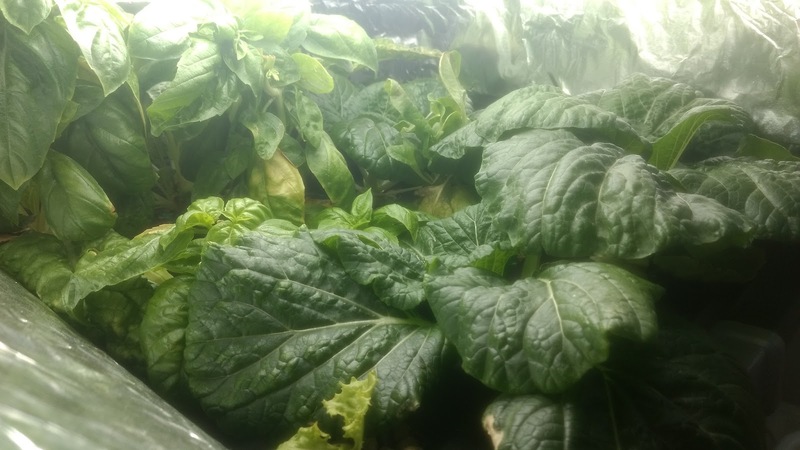 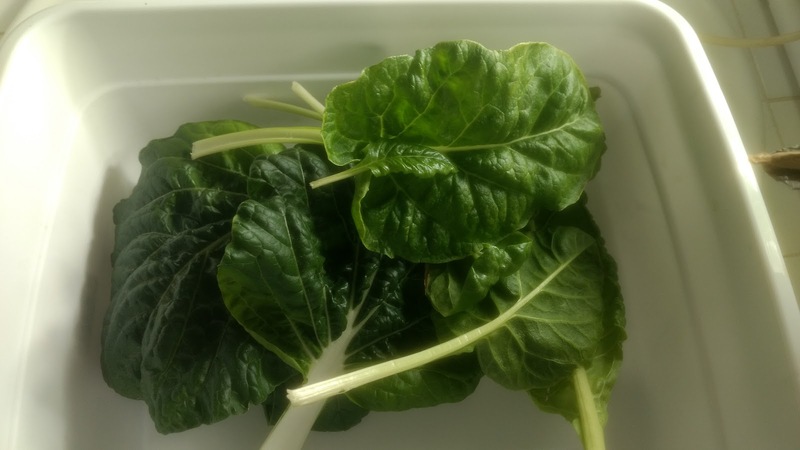 Harvested a bunch of Bok Choy and Swiss Chard. Delicious lunch time snack! 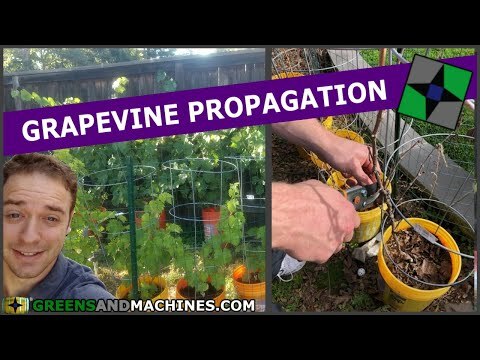 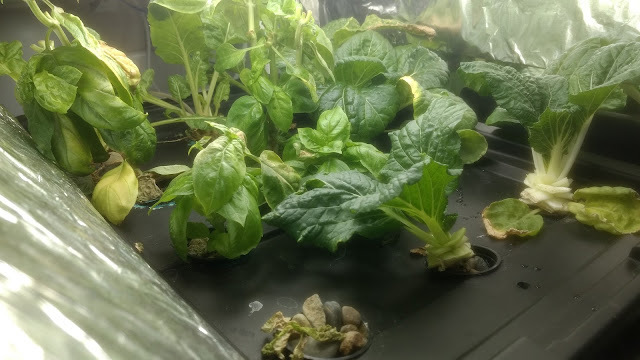 Lettuce wasn't looking too good so I topped up the reservoir with more nutrient solution to see if it would recover. 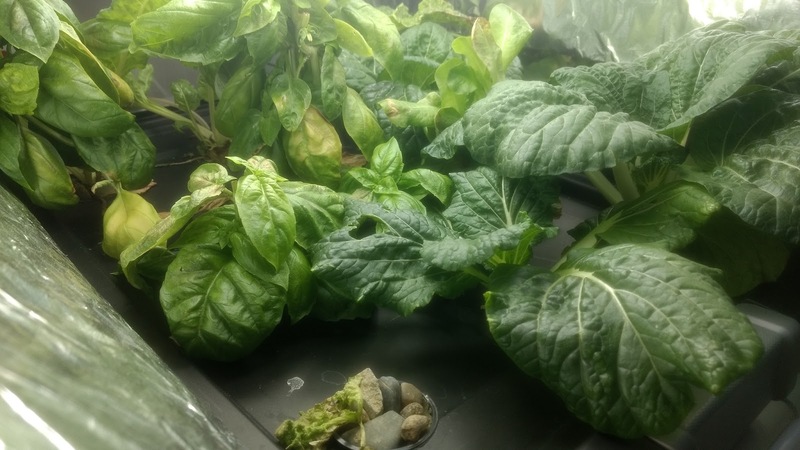 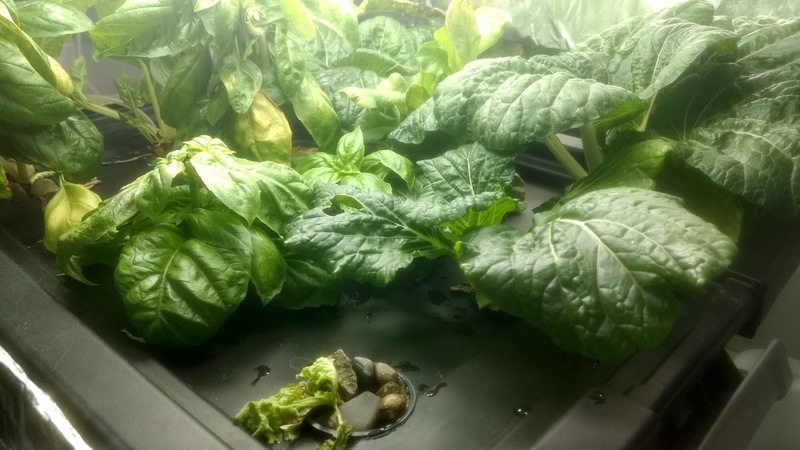 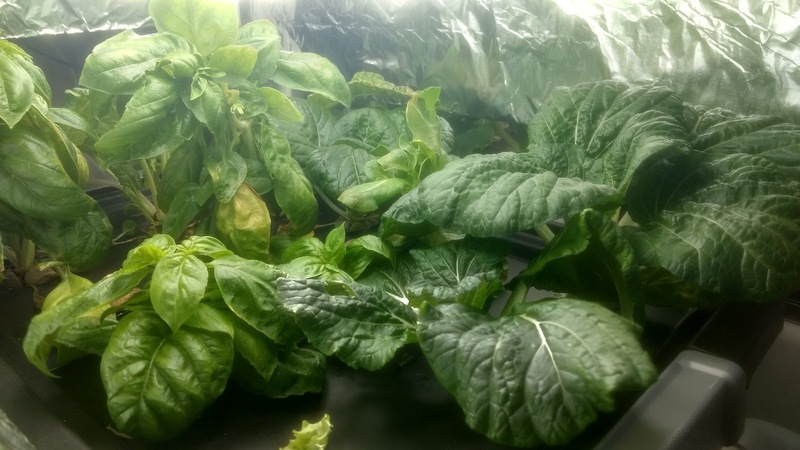 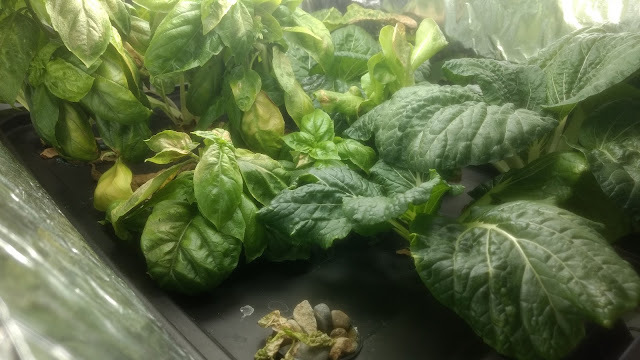 On the last day of the week, harvested a bunch of basil so it would start regrowing. 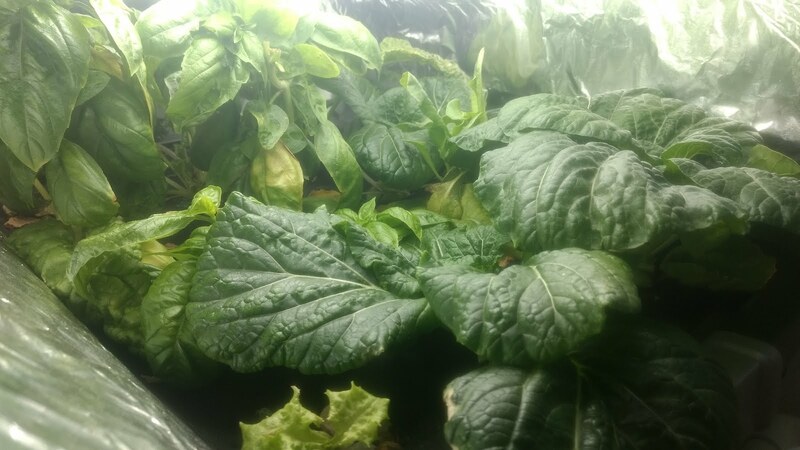 The leaves were crowding out the plants around them.